Are you looking to do up your property in order to sell it on? Perhaps you have leaking or cracked guttering and need replacement gutters? 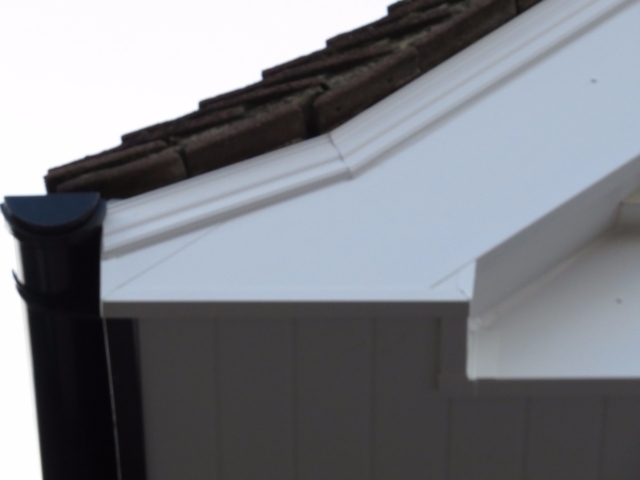 Or maybe your roofline just needs some attention to make it look smarter with new fascias and soffits? 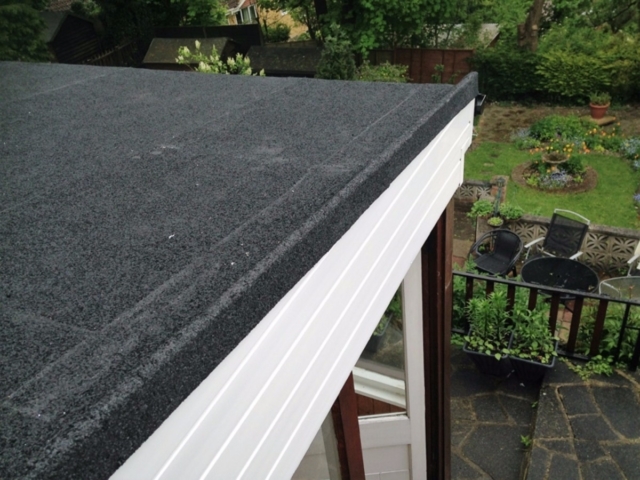 At Collier Roofing, we are one of the premier installers of top quality roofline products in Coulsdon, nearby Croydon and the wider areas of Surrey, Middlesex, London and the South East. 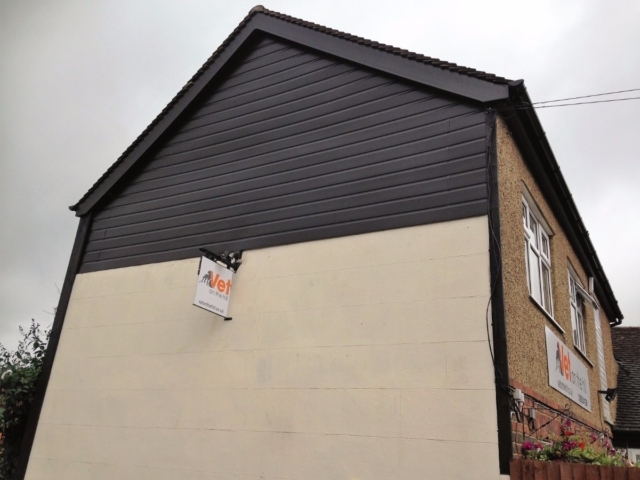 We specialise in all aspects of roofing, including fascias and soffits, bargeboards and guttering and use the best uPVC and aluminium products sourced from leading manufacturers. We have built up a solid reputation in the area for our personalised and friendly approach and excellent work. We undertake any job, no matter the size  from installing brand new pitched roofs to cleaning guttering systems to ensure they keep your home protected from the elements. For a more details about our roofing or roofline services, call us today on 01883 370 351 or 07985 749075 and will be delighted to answer your questions. Collier Roofing offers a large selection of premier quality uPVC roofline products. All our roofline products come with a 10-year guarantee or 20-year guarantee for your added peace of mind. 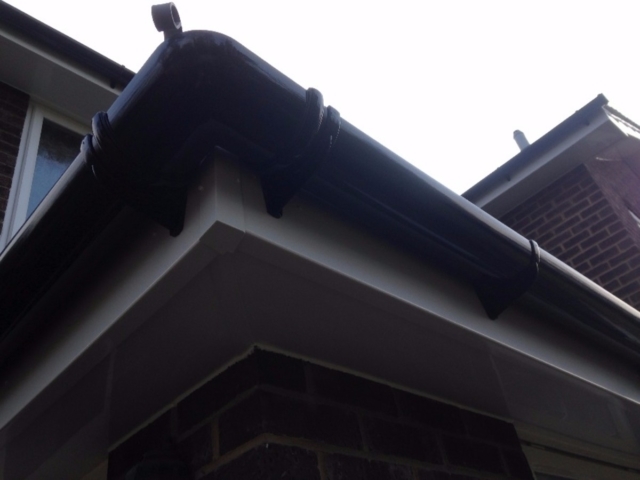 Guttering: This is often overlooked but an essential part of your home’s exterior. There is a wide array of products on the market and we can advise which is best for you. 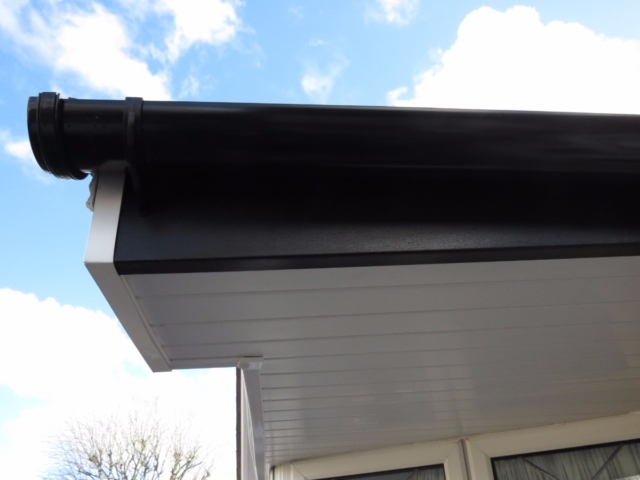 We can install replacement UPVC and aluminium gutters and downpipes that will be long lasting and reliable. 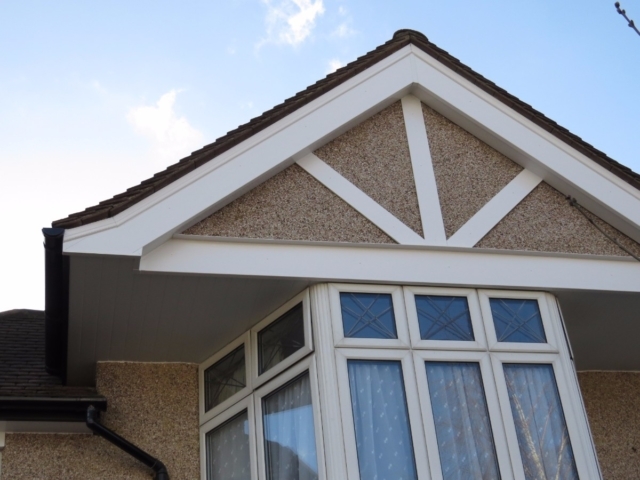 Fascias and Soffits: We can replace your fascias and soffits with maintenance-free uPVC and aluminium products, which requires no regular treatment or painting. 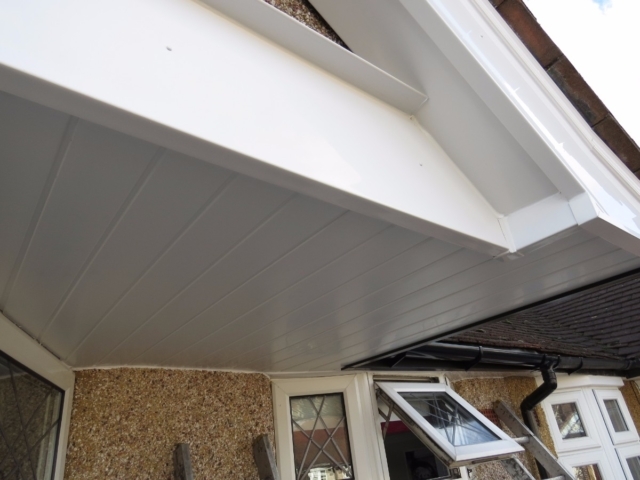 Bargeboards: Bargeboards are traditionally made from wood, but our products are also made from hardwearing uPVC, to give your Coulsdon or Purley home ultimate protection from extreme weather. Our team of highly skilled professional tradesmen aim to provide outstanding workmanship, alongside a personalised and friendly service. We will always treat your home with the respect it deserves and leave it looking spotless after we have completed any work. We are happy to give you a free, no-obligation at quote at your convenience. Please give call Steve on 01883 370 351 or 07985 749075, email collierroofing@hotmail.co.uk or fill out our contact form.